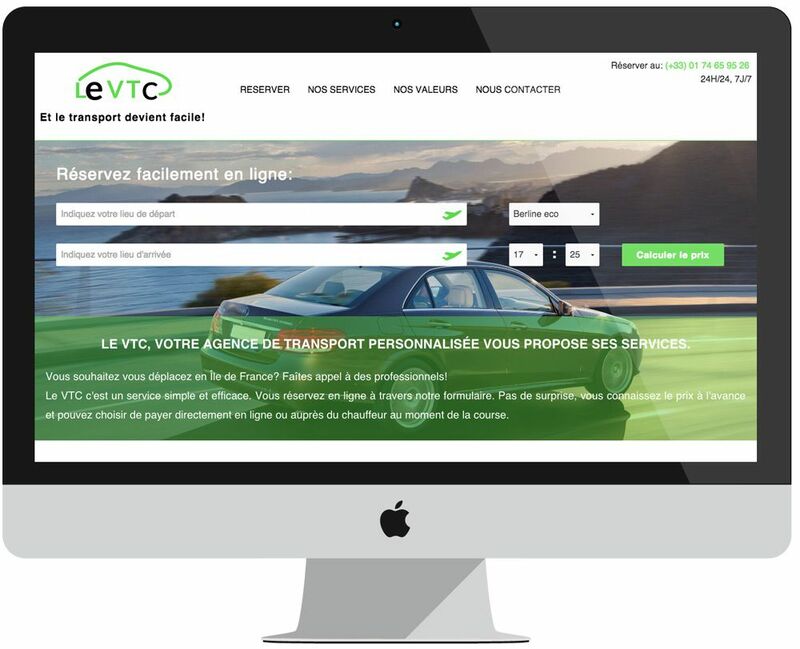 Le VTC is a young cab company. This cab's network wanted to capture new customers through an attractive and user friendly website and to increase its visibility and turnover. They contacted the web agency Gama to create a new visual identity for them, and an online booking website simple and modern. Gama led this project from A to Z, starting with the creation of the logo to the creation of the website and its back office. The website is fully responsive, it allows the team to manage reservations that are made easily online by their customers, but also the management of invoices, and if necessary the update of the prices and contents.